Two big pieces of news out of Capital District Community Gardens today. 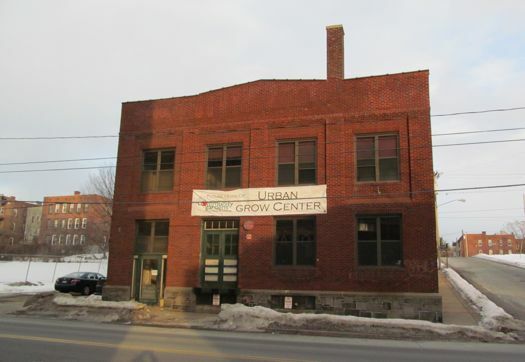 The first is that it's no longer Capital District Community Gardens. 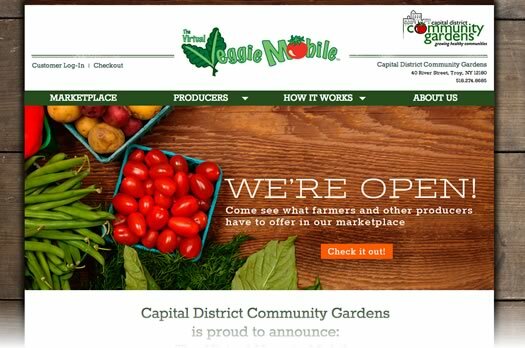 After 40 years the regional food org that runs eleven programs including the Veggie Mobile, Community Gardens, and Healthy Convenience Store program has changed its name to Capital Roots. 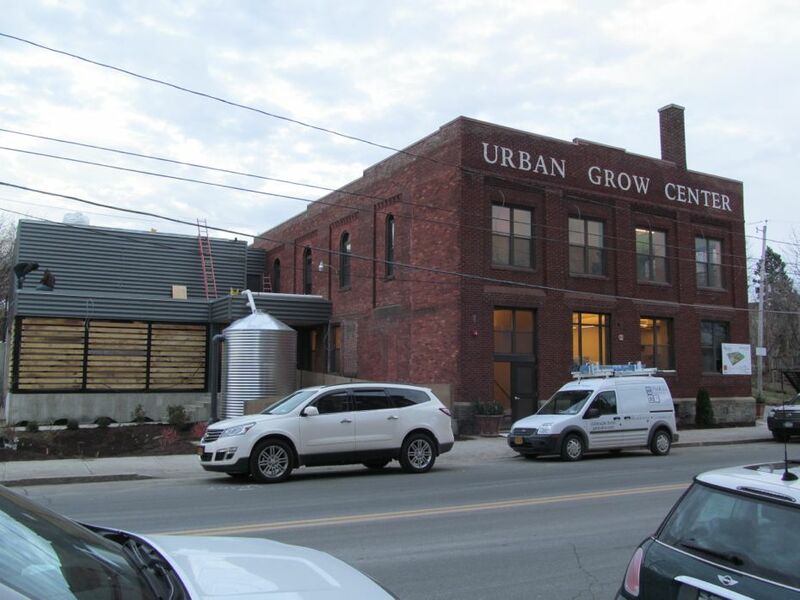 The new name comes as Capital Roots officially opens its long-anticipated Urban Grow Center in a rehabbed, 165-year-old industrial building in Troy. The 12,000-square-foot building includes a produce market, gardeners'resource center, green roof, and community meeting space. Capital District's Community Gardens' annual Autumn Evening in the Garden culinary event returns September 11 at the Hilton Garden Inn in Troy. We have two tickets and we're giving them away. To you? Maybe so. Fall is just ahead, so what local thing about autumn are you most looking forward to? Could be an event, could be a certain fruit or vegetable that's coming into season, could be whatever. We'll draw one winner random. That person gets the pair of tickets. Join CDCG for a chef extravaganza where you can sample the work of more than a dozen of our region's top chefs all in one night! Culinary samples are prepared from fresh meat, cheese and produce donated by local farmers. Guests enjoy live music and local wine, spirits and beer while mingling with chefs, farmers and friends. Proceeds benefit CDCG's programs, including 50 Community Gardens, The Veggie Mobile, The Produce Project, Squash Hunger and more. A list of participating chefs is after the jump. The event starts at 6 pm on Thursday, September 11. Tickets are $250 for couples, $150 for individuals, and $75 for attendees 35 years and younger -- and they're available online. Important: All comments must be submitted by 5 pm on Wednesday, August 27, 2014 to be entered in the drawing. You must answer the question to be part of the drawing. (Normal commenting guidelines apply.) One entry per person, please. You must enter a valid email address (that you check regularly) with your comment. The winner will be notified via email by noon on Thursday and must respond by noon on Friday, August 29. At last year's spring brunch. 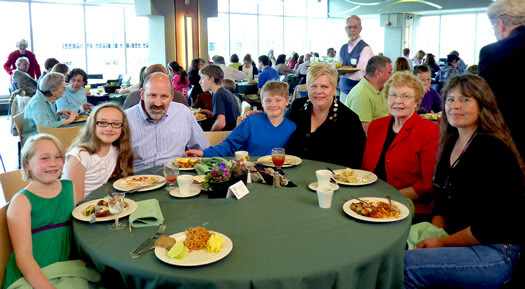 The Capital District Community Gardens' 26th annual spring brunch is coming up May 5 at HVCC -- a hundred chefs and bakers will be preparing a buffet-style brunch to benefit CDCG's many community projects. We have a pair of tickets and we're giving them away. This time of year is hard for local produce -- winter crops are tapped out, and spring crops are just starting to show up. So... What local produce item -- fruit, vegetable, whatever -- are you most looking forward to having back in season? CDCG's brunch is from 10 am-2 pm on May 5 at HVCC's Siek Campus Center. Tickets are $25 ahead / $30 at the door. There will be live music, a silent auction for Mother's Day gift, and activities for kids. Proceeds benefit CDCG's programs, including the community gardens, the Veggie Mobile, The Produce Project, The Healthy Convenience Store Initiative, and Squash Hunger. Important: All comments must be submitted by noon on Wednesday, April 24, 2013 to be entered in the drawing. You must answer the question to be part of the drawing. (Regular commenting guidelines apply.) One entry per person, please. You must enter a valid email address (that you check regularly) with your comment. The winner will be notified via email by 5 pm on Wednesday and must respond by noon on Thursday, April 25. 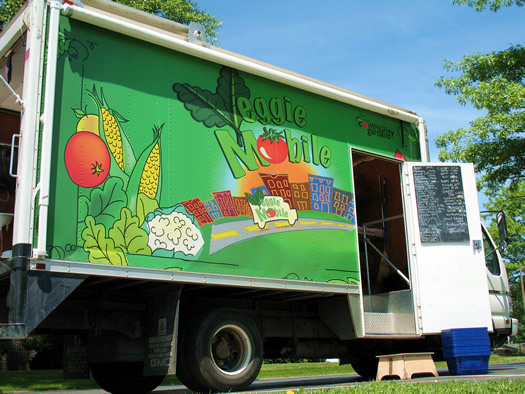 The Veggie Mobile -- a mobile greenmarket -- is one of the many programs run by CDCG. 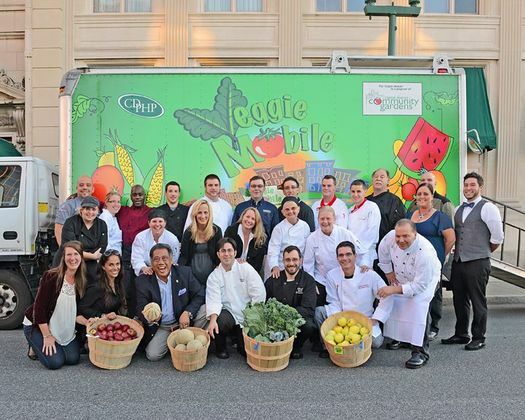 The fundraiser features culinary samples, created from fresh, seasonal ingredients donated by 20 local farmers and prepared by 14 of the region's most talented chefs. The event also features live music provided by The Neil Brown Jazz Quartet and an open bar supplied by local beverage purveyors, including The Altamont Vineyard and Winery, Chatham Brewery, Harvest Spirits and The Albany Distilling Company. Proceeds benefit CDCG's programs, including 48 Community Gardens, The Veggie Mobile, The Produce Project, The Healthy Convenience Store Initiative, Squash Hunger and more. The list of participating chefs is post jump. You'll recognize a lot of the names. The event is at the Franklin Plaza Ballroom in Troy and starts at 6:30 pm. Tickets are $150 for individuals / $250 for couples / $75 for people 35 and younger.